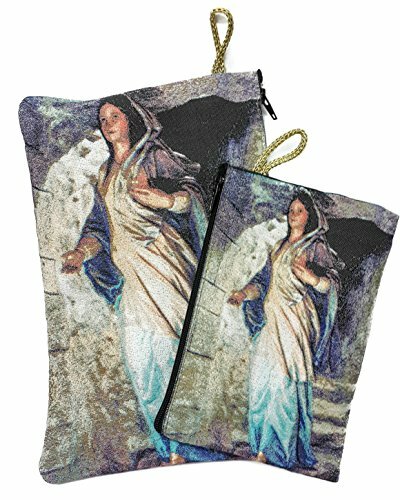 Beautiful Set Of Two Textile Tapestry Christian Prayer Cases Of Madonna Virgin Mary Both Sides Have Identical Image. The Pouches is Lined and Feature With Nice Strong Zipper closure. You can use these for a rosary pouch and the other one as Icon Case. Made Of Highest Quality Materials with Unique design That is inspired by traditional hagiography Keepsake From Jerusalem Holy Land.